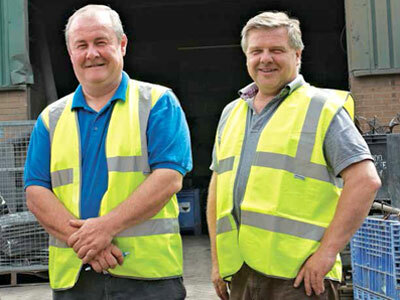 Environmental Waste Management Services offer a modern approach to scrap recovery and recycling. The key is in our dynamic weighing system for scrap collection – almost unique in the industry – but it’s also in our approach. We’ve built our business by doing things properly, being transparent and by treating our customers and our workers honestly and equitably. Management team Steve Lewis and Martin Serrell have more than 20 years’ combined experience in the purchase, processing and recycling of metals and metal products. They set up EWMS in Telford in 2008, and today work with many well-known companies across the UK as well as locally. In that short time the company has grown to become one of the leading metal recyclers in the West Midlands, Shropshire and Wales, investing more than £150,000 on equipment in the past few years alone. And we remain true to our core principles of honesty, transparency and excellent service. Contact us to find out how we can help you with your environmental recycling needs.